Currently, I am on tenterhooks. I am filled with anxious anticipation and suspense following my recent submission of a paper to a peer reviewed journal. My paper is going to be the first of it’s kind, and so it is a more prestigious journal than the usual hypnosis journals and I just can’t help but feel some apprehension with regards to the feedback. Some of the peer review board have differing theoretical stances than those presented in my paper. Some have written books and carried out research themselves about differing approaches and so I have had some slight opposition and recommendations as well as having some notions suggested for inclusion and development of my future research direction and work going forward. I have put hours and hours of my time and effort into this research. I have worked incredibly hard. I have invested myself heavily and naturally feel protective over it. I could get defensive. Yet, I think it is wonderful to receive feedback from fellow researchers, academics and authors that I have long looked up to. It is truly exhilarating to have a robust critique of my work, and to have it scrutinised. My work gets better as a result, I get better as a result. Regularly, I go and look at the reviews my books and audio programmes have received. It is not without a slight sense of trepidation. When it is properly qualified and constructive, I take it on board and do all I can to respond to it. The toughest criticism we receive is often the place where we grow, develop and learn most, and I typically look at it as a way to get better. 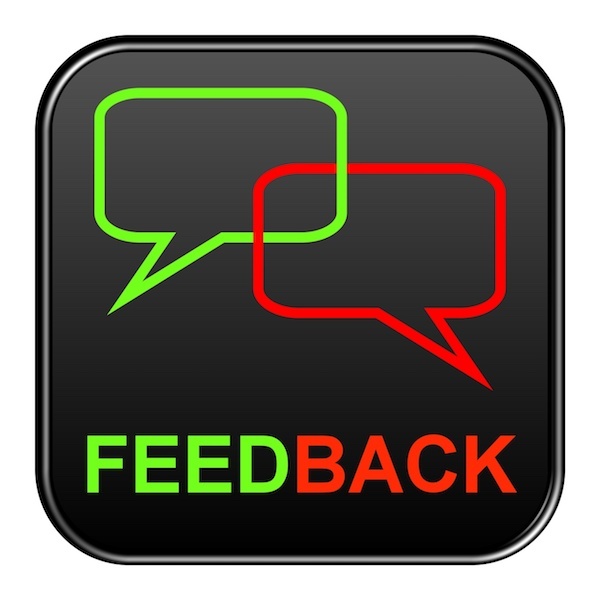 At the end of courses, seminars and training events, I hand out feedback forms so we can get anonymous, structured feedback and can refine, develop and make our educational offerings better. Every top quality training I have been on did this, in line with top quality educational standards and methods. All the poor quality trainings I attended did nothing of the sort. 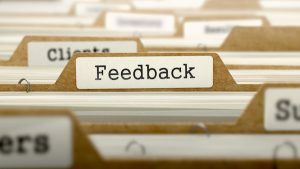 When working with individual clients for hypnotherapy, I want to get honest feedback about how they are getting on, and how things can be done better. This is going to help them more, we’ll get better results and I will become more effective. Using feedback forms, measuring scales, engaging in reflective practice and having regular supervision are all ways of ensuring we look to grow, develop and improve as hypnotherapists, it is a central part of how we should be working. Yet I encounter a trend, a proliferation of classic ‘head in the sand’ attitudes among hypnotherapists who fear asking for solid feedback, who take it personally instead of seeing it as an opportunity to grow, and who just want to crack on regardless, insisting that they know best. There are many contributing reasons for this, but one big contributory factor is the very culture of hypnotherapy training and CPD (continued professional development) training courses offered – because they themselves do not offer or create a culture of wanting to grow and develop and instead offer up a singular, impervious to critique type of attitude that does no-one any good in the long run. Many hypnotherapy training courses offered to the public these days are a single model, devised by the school founder and lead trainer. Some are excellent I am sure. Yet there is no critique offered. They virtually sell this singular model and extoll all the reasons that it is so good, but do not offer up the other side of the debate, or offer up potential criticisms of their model or favoured approach. However good the training is, the depth of education is always going to be lacking if there is not a transparent approach to what is being taught. Schools, colleges, Universities will always offer up the stance of fierce critics as well as those supporting a particular viewpoint. Even if the teacher sympathises with a particular side, the critique of that side is taught and explored; this is quality education. This is how a student learns, this is how a field of study grows. When hypnotherapy trainings simply say “this is the way it is” and do not allow for any critique, it halts potential for growth and development and currently the field of hypnotherapy is held back by so many people doing just that. a) Are Hypnotherapists Intelligent Enough To See Both Sides? b) What Can Hypnotherapists and Hypnosis Professionals Learn From Feuding Hypnotists? a) The Cult of Anti-Intellectualism and Ignorance In the Field of Hypnotherapy and Hypnosis. Must be able to take criticism and learn from it, develop and improve. Not just circle the wagons and start shooting at everyone who dares do so. 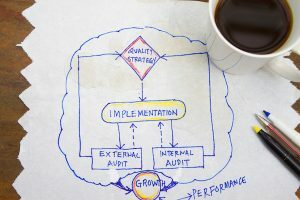 They are not just holding themselves back, they are holding the entire hypnotherapy field back by creating a culture and role modelling a culture that many hypnotherapists take into their hypnotherapy rooms when working with clients – and they will not improve if they hold onto that same reticence to be open to criticism and feedback. a) Anecdotal Hogwash From Hypnotherapists and Why Hypnotherapists Need Critical thinking Skills. b) Critical Thinking: Its Importance and Ways to Improve It. a) Hypnotherapy Training: I’m Frothing at the Mouth About Why Hypnotherapists Need More Advanced Training. We need to be comfortable asking questions of our hypnotherapy training, not hiding in fear in case the trainer gets defensive. Likewise, we need to get better at thinking for ourselves because so many hypnotherapists want spoon-feeding. A good quality hypnotherapy training course should have given you all the knowledge and skills required to do hypnobirthing or offer your clients a hypnotic gastric band. Instead, we are happy to pay someone else to package up our existing knowledge for us and spoon-feed us on how to do that. a) Why All Hypnotherapists Need To Know What “Shoshin” Is. Shoshin is also referred to as “beginner’s mind” and it is not just hypnotherapists who need to adopt this. 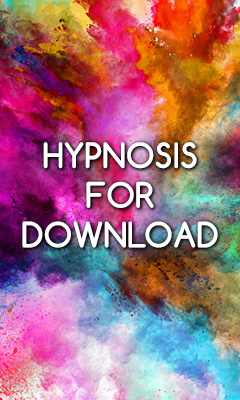 It is seasoned and influential hypnotherapists who have big followings, it is hypnotherapy trainers and educators who need to know that what they offer is not everything to everyone. They need to adopt shoshin and become humble about what they offer. They need to accept that feedback and criticism is how they will grow and develop and ultimately raise standards in our field. Learn how to take criticism well, like a grown-up. Recognise that everything we do and say is likely to have flaws and you know what? That is ok. Nothing is perfect, so why not accept that? Come on hypnotherapy trainers and training schools get on board with this, eh? Are you looking for a meaningful and rewarding career? Want to train as a hypnotherapist? Are you a newly qualified hypnotherapist looking to advance your skills or a seasoned professional looking for stimulating and advanced CPD? Visit the website of the Anglo European College of Therapeutic Hypnosis to peruse the wide range of courses, seminars and workshops we offer online and in the classroom, all led and taught by Adam Eason. I imagine you are being generous there. For all the knowing nods that critical thinking receives whenever mentioned there is very little practiced, it seems to me. And I can speak for myself here. With the assignment to read your ‘Top Ten Important Articles I Recommend All Hypnotherapists Read Today!’ (as prep for your online diploma course work) I set myself the task of making a comment for each to amp up my focus and learning. It’s much more difficult this way (and I haven’t done it on every one). I find I’m rereading passages as I go along. I’m thinking as I read doing my best to find something within the article with which I can generate a comment that may add to the conversation. It’d be much easier to just speed read each and tick off the Done! box on my To Do List. Taking feedback, not just hearing it, but actually taking it in and thinking critically about what it means is hard work. It makes us question our own thinking and may have us scrapping much cherished conclusions. I’ve heard it said that ‘feedback is the breakfast of champions’ and I don’t know many champions personally. Thank you Korey, I really enjoyed reading this reply.